John Harvey Kellogg says he is happy to know that Miss Berry returned from Europe in better health. He is also glad to hear that Mr. Ford has become interested in helping the school. 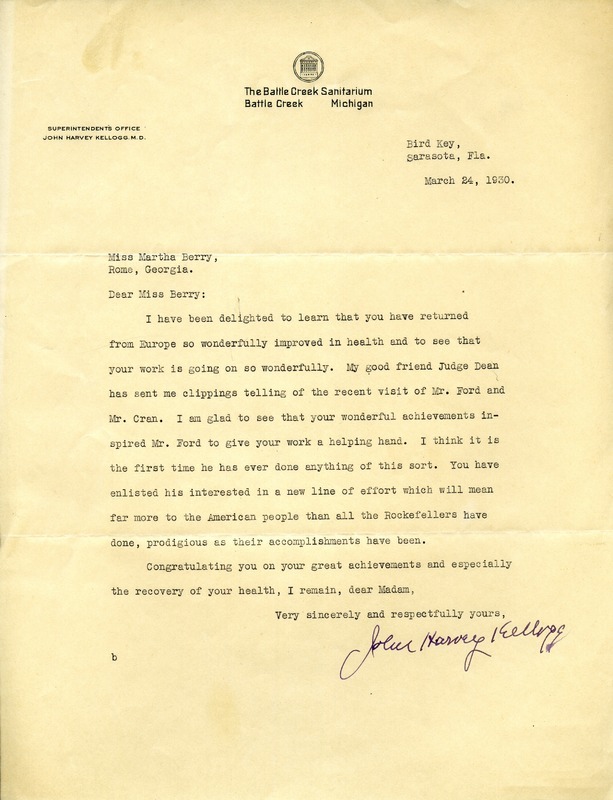 John Harvey Kellogg, “Letter from John Harvey Kellogg to Martha Berry.” Martha Berry Digital Archive. Eds. Schlitz, Stephanie A., Kelli Kramer, et al. Mount Berry: Berry College, 2013. accessed April 21, 2019, https://mbda.berry.edu/items/show/13050.